Media Filter Bag 24" x 18"
Filter Media Bag 24" x 18" bag with a drawstring and plastic toggle to hold closed. Filter Media Bags allows custom chemical filtration. Simply fill the media bag with the chemical media of your choice and place in your filter for enhanced aquarium water quality. Inexpensive and versatile media bag is made of 100% polyester featuring a top drawstring for easy closure. 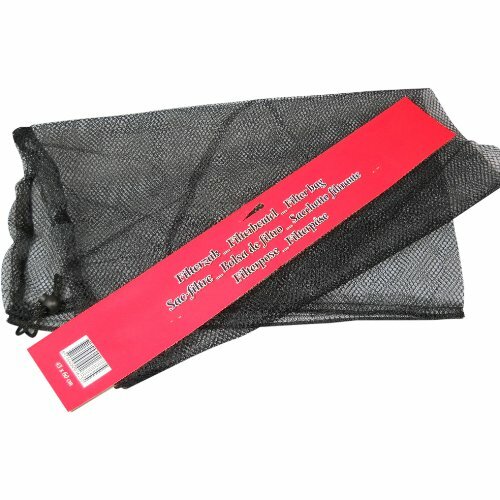 Micro fine mesh bag is great for activated carbon, ammonia remover resins, or any of your favorite aquarium filter media. Use media-filled bags in power filters, canister filters, or wet/dry filters to customize pond filtration. Filter Media Bag bag with a drawstring and plastic toggle to hold closed. Strong design to hold all types of filter media. If you have any questions about this product by Pond H2O, contact us by completing and submitting the form below. If you are looking for a specif part number, please include it with your message.